Originally published in 1968. The author, a well-known contemporary and friend of folklorist Katharine M. Briggs, collected a tremendous store of folk music material over many years and eventually decided to put some of it on permanent record. This book comprises a cross-section of rescued melodies dating back to medieval days and up to the Victorian early ballads. 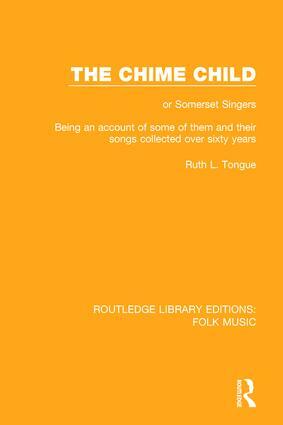 It describes individual folk singers in Somerset in great detail as personal accounts and documents their lyrics and their tunes, which are all together at the end of the volume.